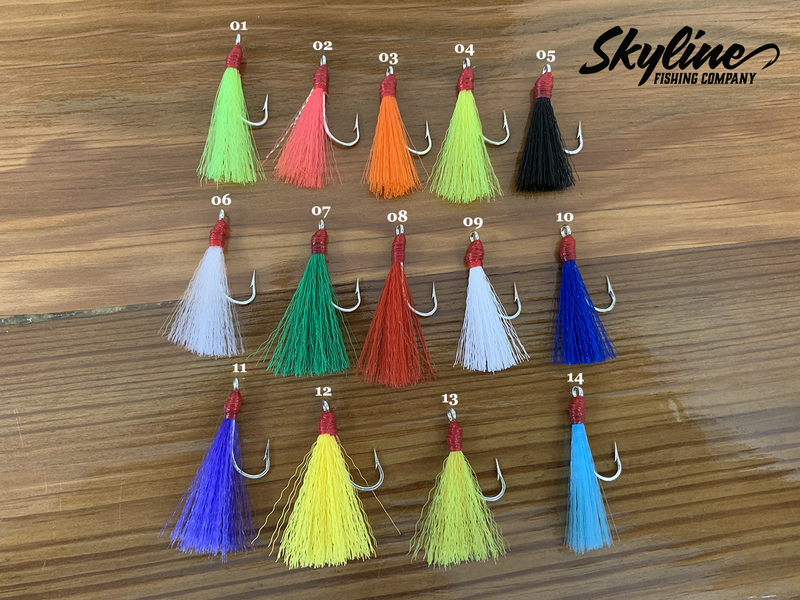 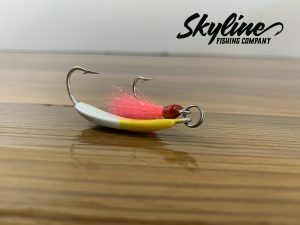 The Skyline Pompano Teasers rigs can be added to our Wacky Jumper Pompano Jigs and other jigs. 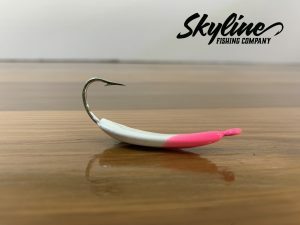 It adds some extra action in the water to attract fish when they might be finicky. 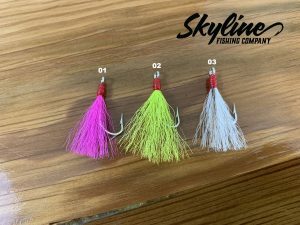 This version of our Pompano Teaser is made with synthetic hair and is widely used by pompano fisherman.